Watch out, Internet: One B.C. woman is upping the selfie game. Vancouver's Stacey Wallace was in Manning Park (near Hope, B.C.) when she noticed a squirrel popping out of its hole, according to the Daily Mail. 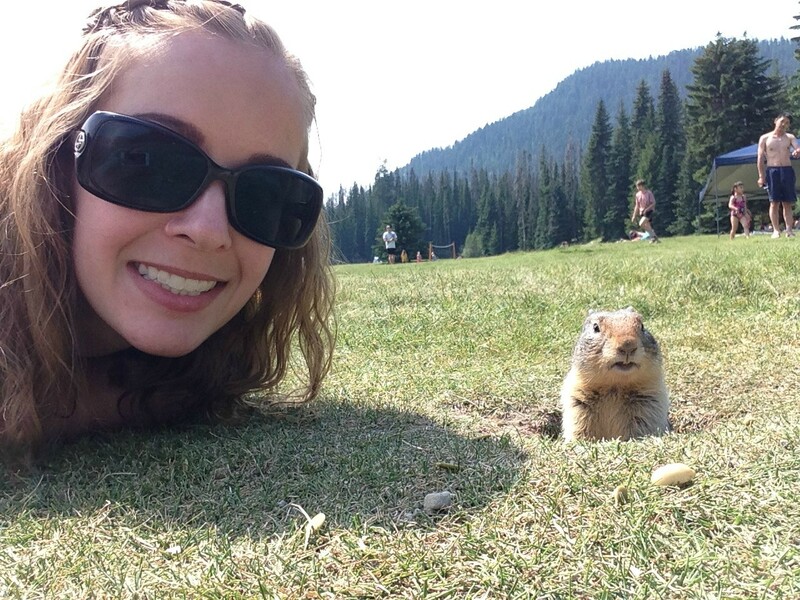 To capture the picture, she crawled on the ground towards the creature, who stood still long enough for it to be taken. The photo was posted to Imgur (where it racked up over one million views in one week) and Reddit, causing the Internet to go nuts (ha ha). “I know its not hard-hitting news, but it’s cute and I thought it would be a good tourist piece for Manning Park,” Wallace told The Province.